The work is the first in a series of performances and installations created by artists for the newly created ISM Hexadome, a hexagonal structure featuring six large screens and over 50 speakers in a 3D sound stage, creating a spatial sensation coupling music with shifting visuals. 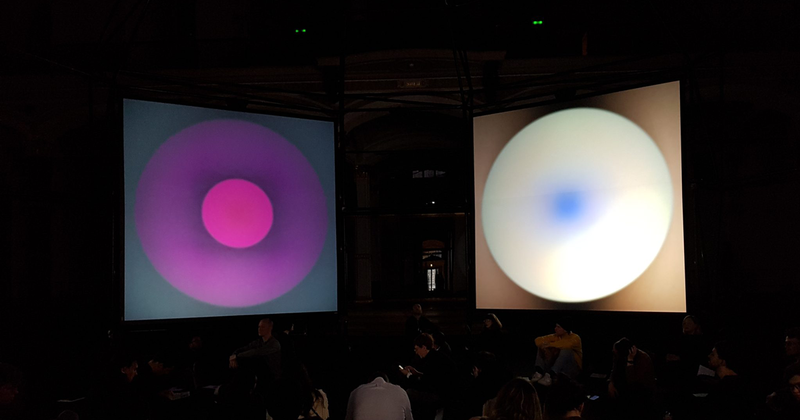 The piece was specifically composed for the new sound technology utilized by the ISM Hexadome and developed by The Institute of Sound and Music in partnership with Pfadfinderei and ZKM | Center for Art and Media with support from the Kultur Bundesstiftung. Over the coming month at Martin-Gropius-Bau, the ISM Hexadome will host an impressive range of established and emerging artists including CAO and Radiohead’s Thom Yorke.